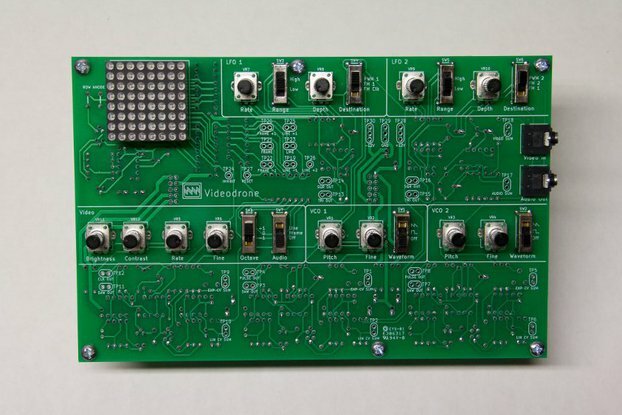 Videodrone is a drone and video synthesizer with a lo-fi LED matrix video display. 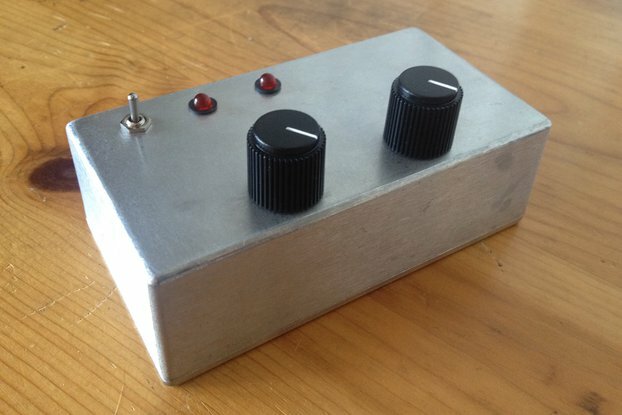 Videodrone is an analog synthesizer designed to produce a wide variety of droning audio textures including deep pulsating detuned oscillations, sweet shimmering saw wave choruses and thick, grinding low-end tones. The versatile audio section is mated to an LED matrix based video screen that uses the audio output to create dancing animated shapes and slowly evolving patterns. 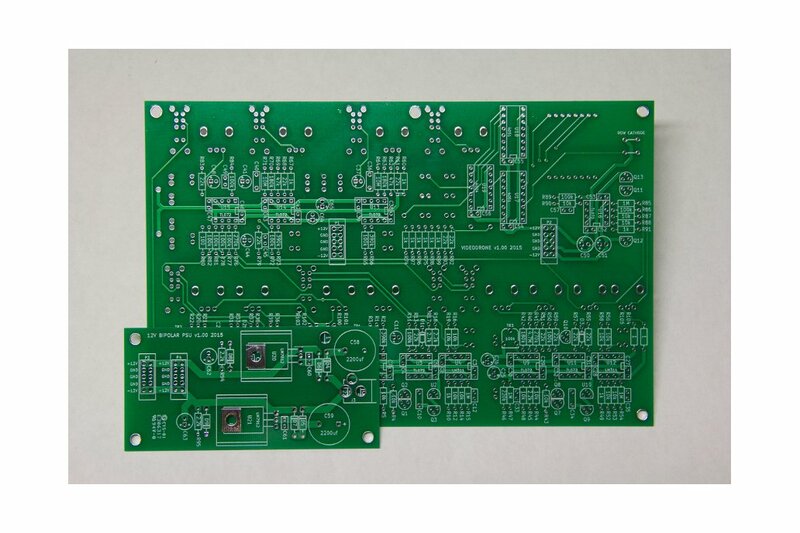 This listing includes the main PCB and the power supply PCB. Please select whether or not you would like to add the optional clear acrylic back plate. Two VCOs make up the core of the audio output. These can be augmented by the video clock which acts as an independently tuned sub oscillator using one of six frequency-divided square waves. Using the clock as an audio source allows you to hear the musical relationships used in creating visual patterns on the video screen. The two LFOs allow for low frequency and audio rate modulations of the VCOs and VC Clock for even more complex patterns and textures of light and sound. The 64 LEDs that make up the LED matrix are scanned sequentially at a rate set by the voltage-controlled clock. The brightness of the LEDs are controlled by the VCOs instantaneous output voltage similar to the way an analog TV is driven. By manipulating the relationship between the clock and VCO frequencies you can essentially freeze the audio output turning invisible waveforms into patterns and shapes. More than just a music visualizer, Videodrone is more like a lo-fi analog video synthesizer allowing you to carefully control everything you see and hear. It even has some benefits over a TV based video synth. Since TVs trace through more than 15,000 lines per second, you often end up using frequencies near or above the upper limits of human hearing. Videodrone's significantly slower line rate lets you meld audio and video in ways not possible with most video synths. The video input allows you to drive the LED matrix with any external line level audio source so you can use it with your modular system or see what patterns a polysynth can make. 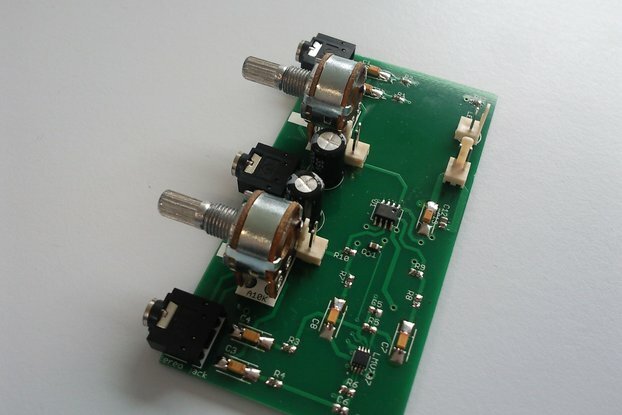 Test points for important signals and inputs are easily accessible for those interested in further experimentation. 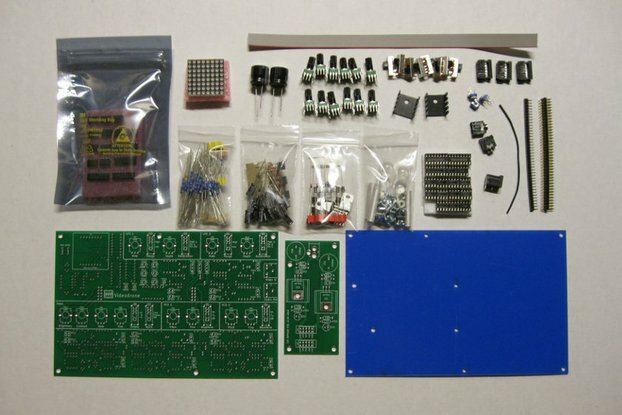 Schematics are freely available to help plan modifications and experiments.